This is the result of the Quality of Life crackdown campaigns to sanitize the city. It's not the new buildings that people are so quick to blame on. When I hear someone say he was NYC's greatest mayor, I want to ask them WHAT planet they are visiting from. More accurately, he was NYC's most DIVISIVE mayor. In fact, I have only ever heard White people say they loved him. Surprise me, tell me you are not white and I will be interested to hear why you thought he was the best NYC mayor ever. This guy was a jerk, who tried to micromanage everything. Stop trying to revise history. Next you'll be saying Reagan was the greatest President ever. (Another real winner.There's a special place in hell for him too. I hope they have him on slow roast down there.) Just my $.02 for the record. In fact, I have only ever heard White people say they loved him. Surprise me, tell me you are not white and I will be interested to hear why you thought he was the best NYC mayor ever. President ever. (Another real winner.There's a special place in hell for him too. I hope they have him on slow roast down there.) Just my $.02 for the record. And I did like Reagan. I do not wish to enter into any controversy, mostly because I rather just post some links, photos of architecture with the limited time I have here. I am not fishing for a debate if I offer an opinion, -- or in this case, support somone elses opinio -- I think he was a good mayor. So, pardon me while I go locking for more pictures of the GM and apple store. 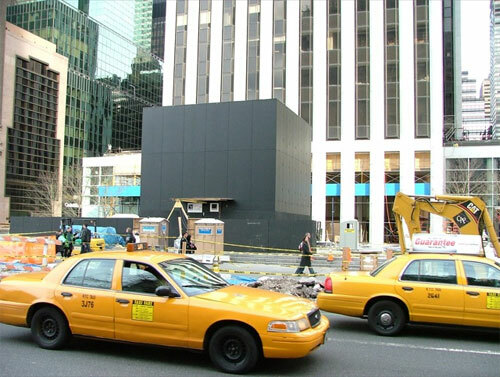 Here is a good link for now - http://www.macklowespace.com/GM_retail/gm_retail.html once on the site click on "fifth avenue - construction progress" some nice photos there. Last edited by infoshare; February 11th, 2006 at 09:09 PM. Who are the tenants in the GM building? Does GM still have a presence there? I do not wish to enter into any controversy, mostly because I rather just post some links, photos of architecture with the limited time I have here. I understand, infoshare. In this thread, I would also rather stick to the issue at hand. However, if an opinion is expressed, in this case as it was about Giuliani, with strong words like "greatest mayor" and "Amen", you can hardly expect it to slip by, uncontested by those who feel the opposite way. The point is, many of us believe very strongly that there is a big, horrible thing happening in the US. A slippery slope, if you will. Some people do not see it yet, just like the Germans who liked the the trains to run on time. If you allude to it, or any of it's front men in glowing terms, some of us will be compelled to refute you, end of story. It doesn't matter the time or place, some things are more important than architecture, like LIBERTY and Democracy. So, we can gladly return to the topic at hand, but once again, if controversial political remarks are made about divisive leaders, you can hardly expect everyone to ignore them. You may not be fishing for a debate just because you offer an opinion. That's understood. At the same time, you can't reasonably expect to offer it and then have silence, or only another person agreeing. For the sake of balance, I simply wanted to make sure that a dissenting view was made immediately clear. Office. I am curious what kind of tenants the building has for its office floors. The biggest improvement here was when the big brass letters spelling out Trump's name on the 5th Ave. facade were removed. The horizontal banding with greenish glass contrasts with the verticality of the tower. Frankly I liked the old tall bay windows better. It just seems so uneccessary. Anyone have a pic of the way it was before? Anybody have an idea when they are going to unleash the almighty cube? Arent they really late already? I walked by a few days ago and it doesnt look even close to being done. Now it is scheduled for the Spring. The Apple Cube Hath Landed! Worship It! Many Highways was up in Midtown yesterday and snapped a few pictures of the new cube. Is it just us, or does that black granite look positively evil? Wasn't it supposed to be made out of clear glass? Or is the real cube inside the black wrapping? Mac architecture nerds, please let us know.